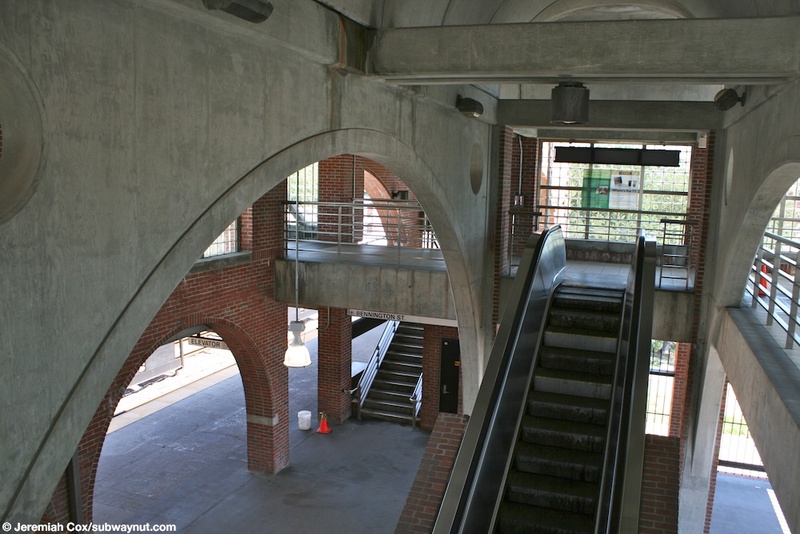 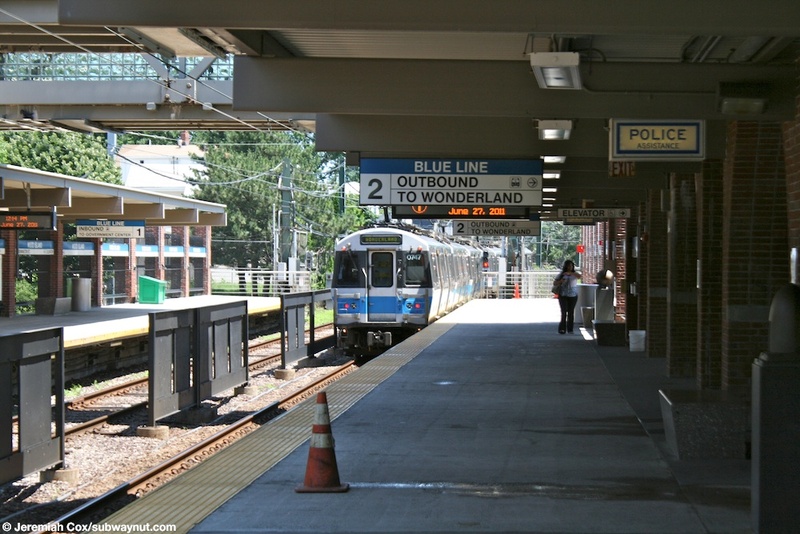 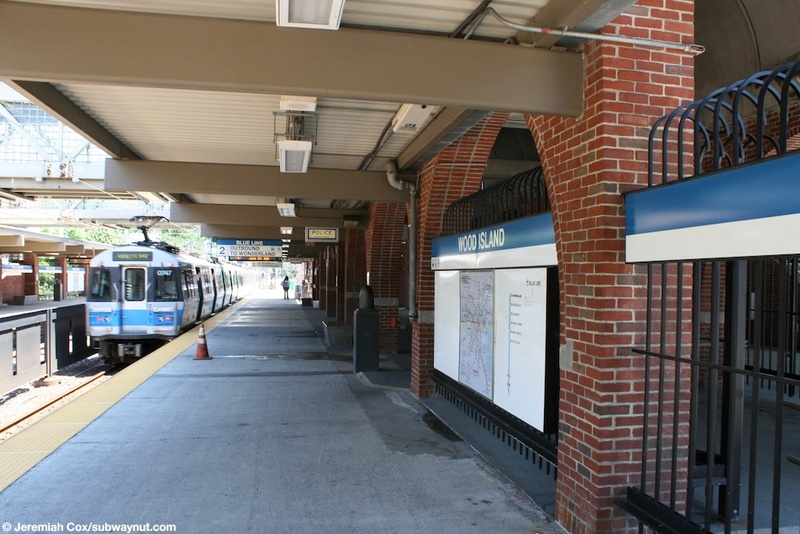 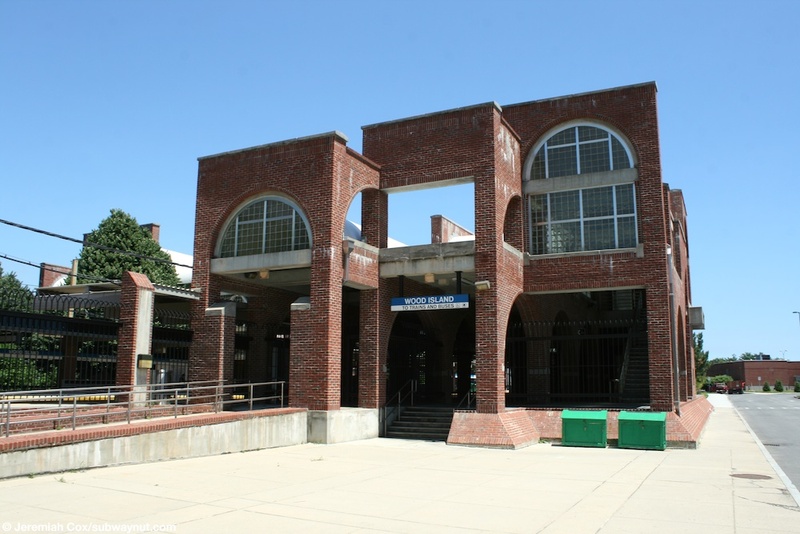 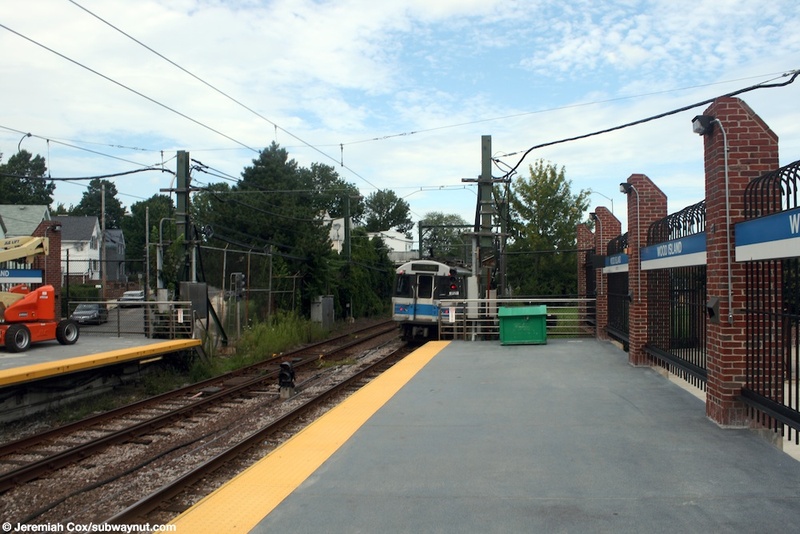 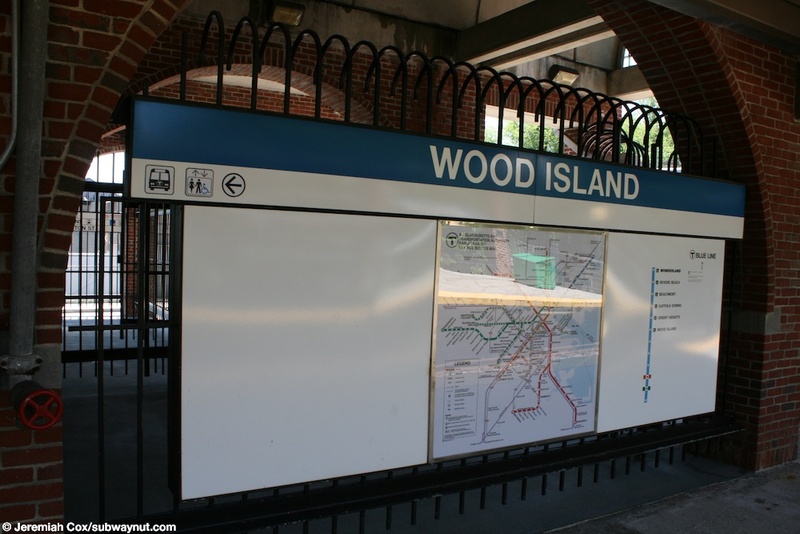 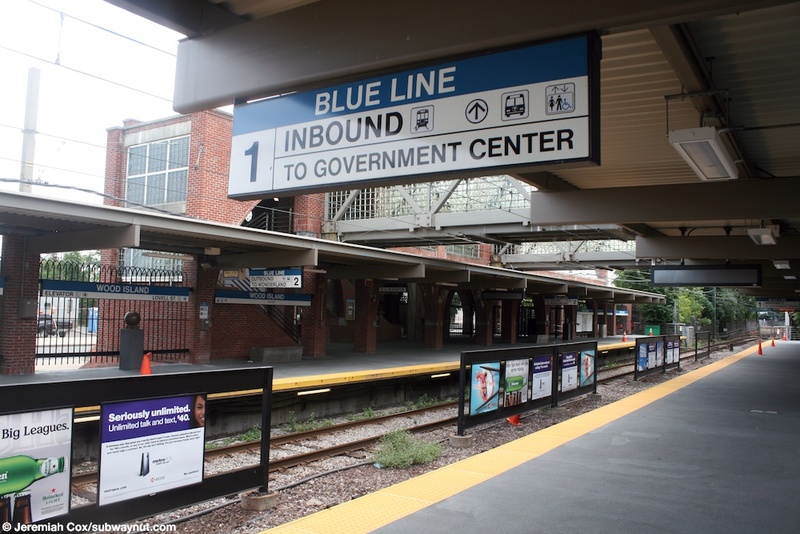 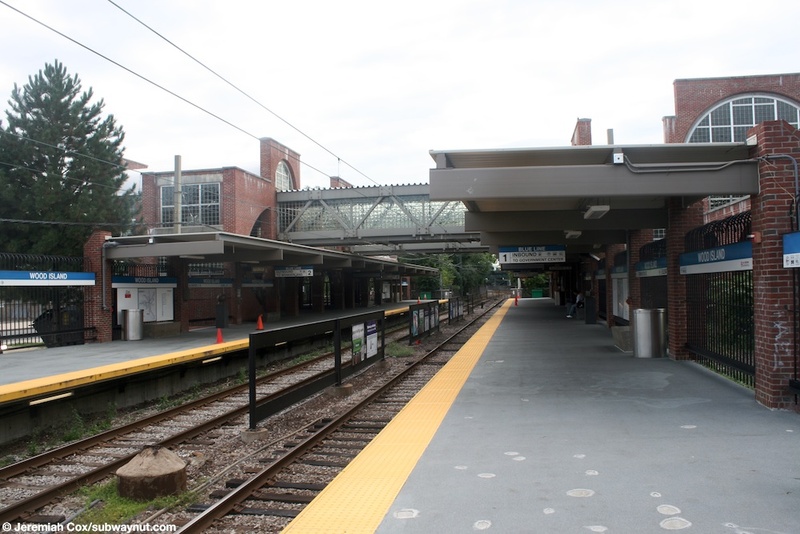 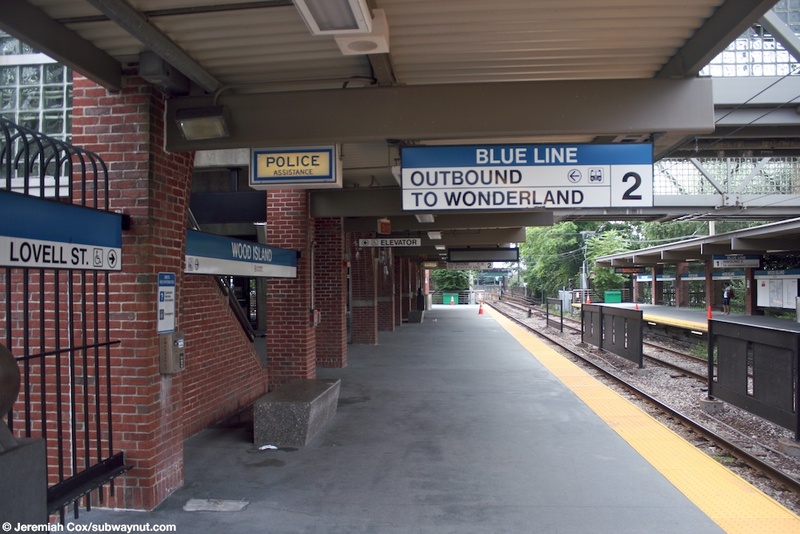 Wood Island is a renovated Blue Line Stations whose theme is lots of red bricks along both of the platforms, and the overpasses. 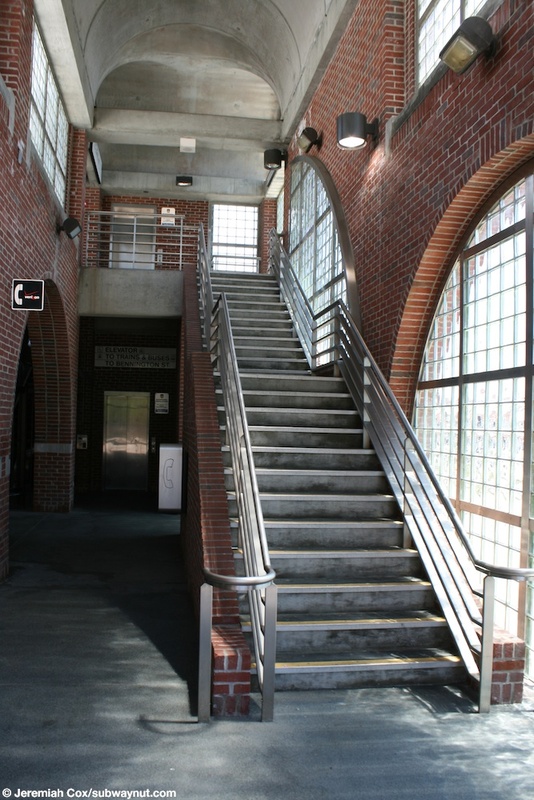 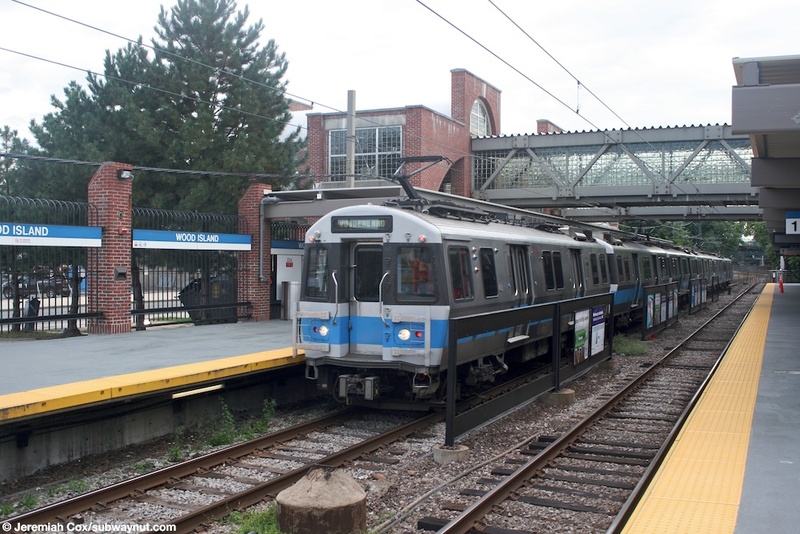 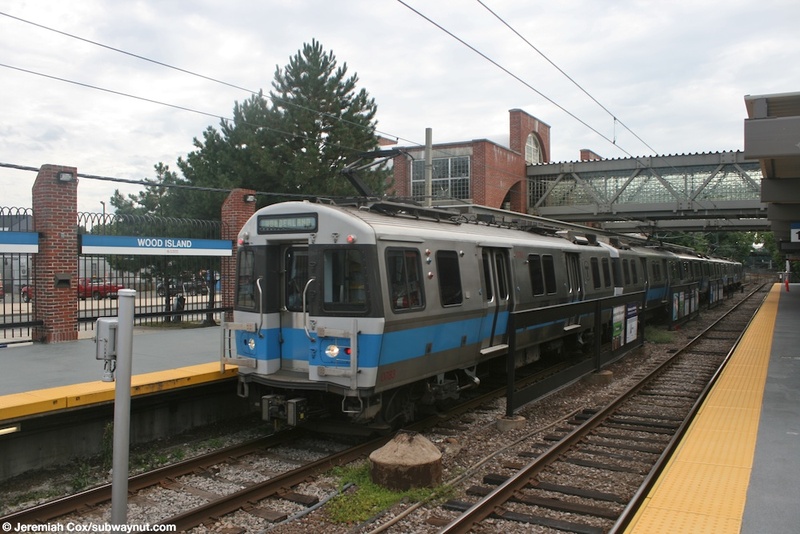 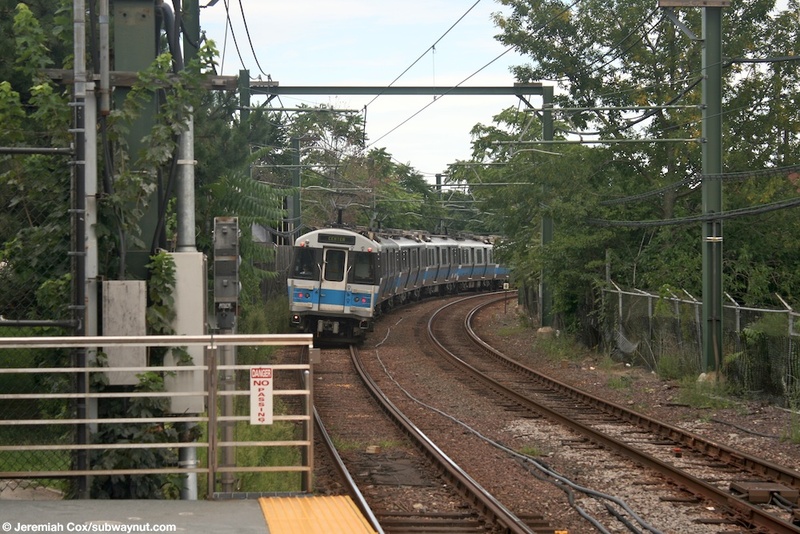 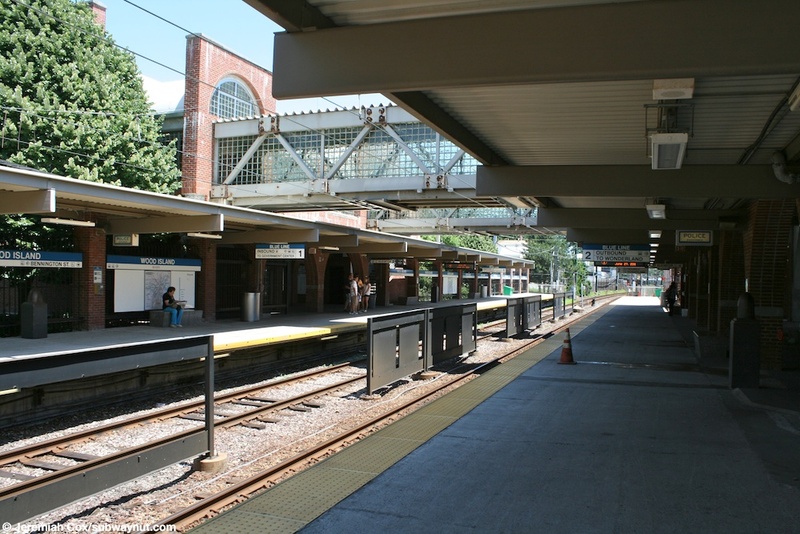 The stop is located at ground level with two side platforms and are connected by two overpasses one within fare control and one outside of it, these are both ADA accessible due to elevators. 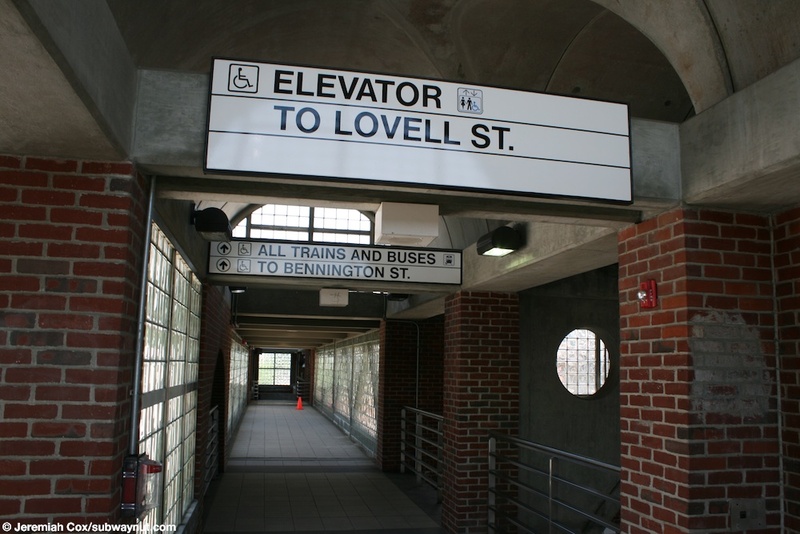 The portion within fare control also has escalators Each platform has its own entrance on the outbound side three High Exit only Turnstiles lead out to Lovell St, the inbound platform has the faregates and leads out to a bus loop whose sidewalks lead to Bennington Street as the exit is signed. 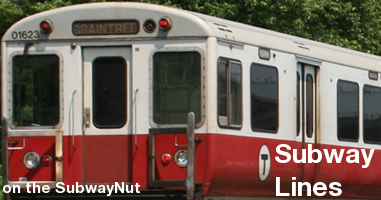 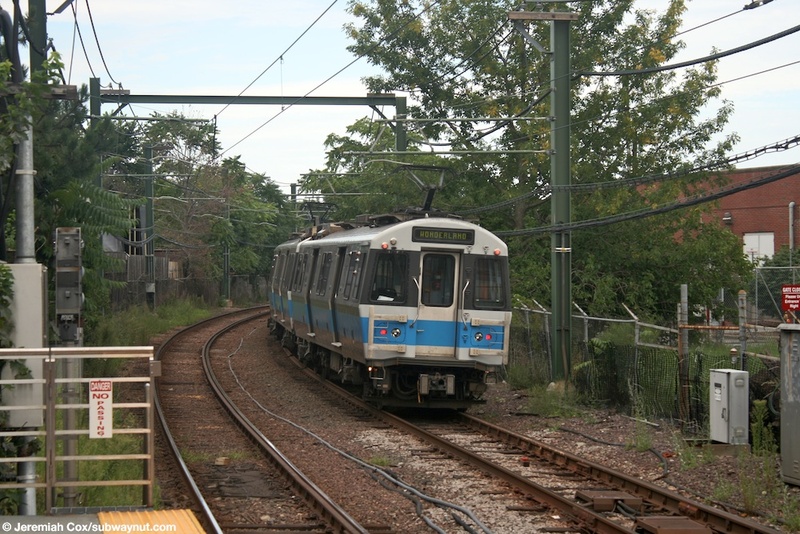 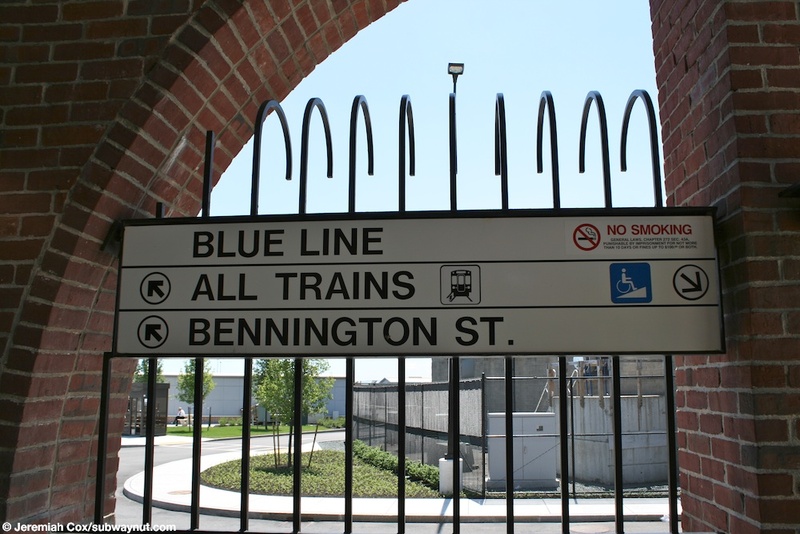 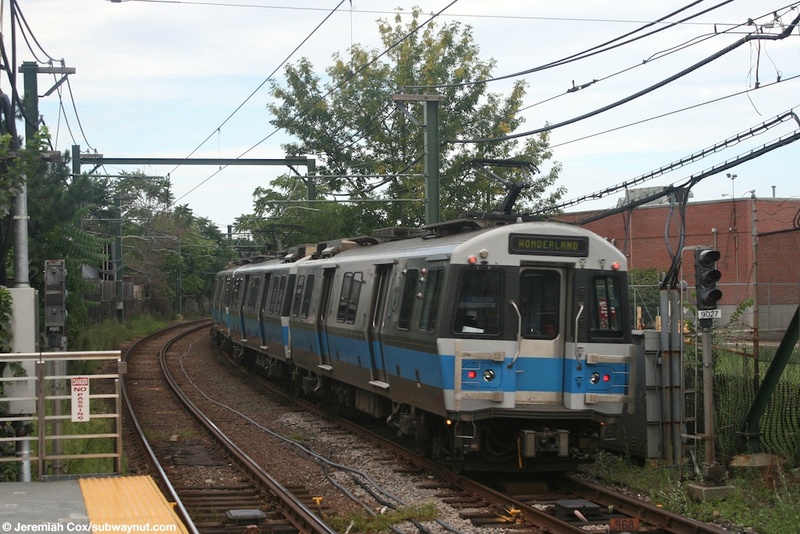 Just to the east of the station is a large parking lot used by motor coaches to and from Logan Airport. 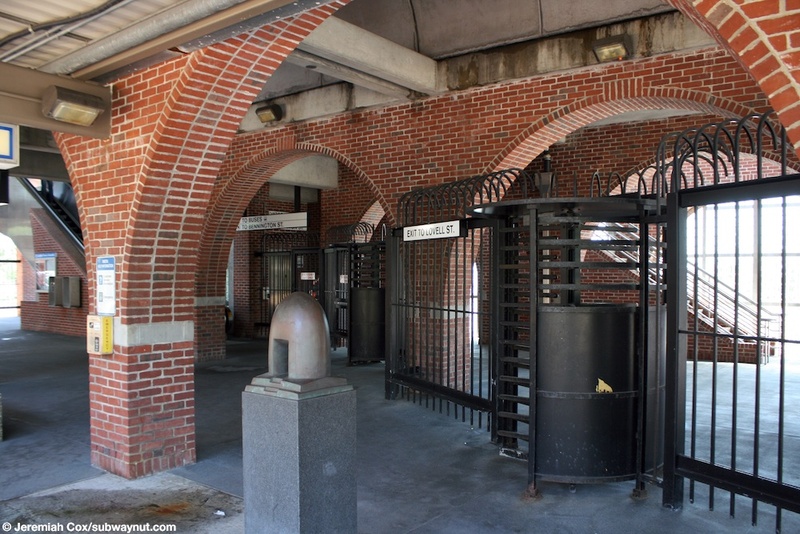 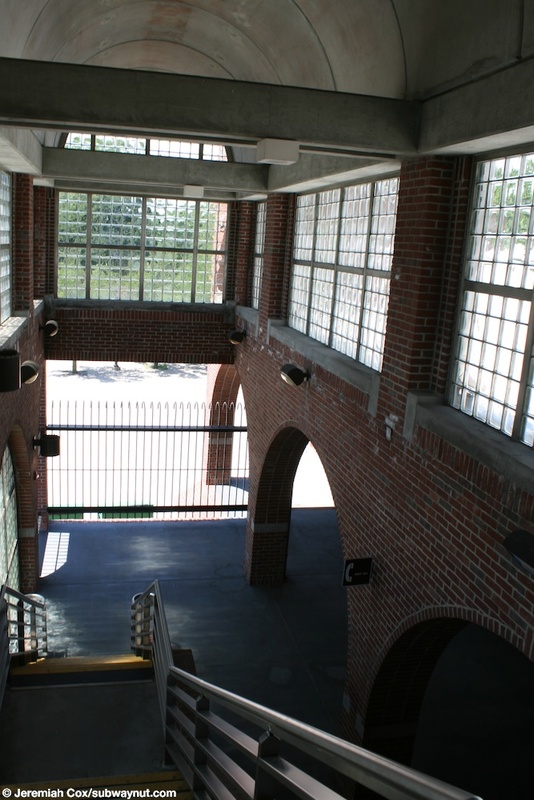 The high turnstiles out to Lovell St.